An all-time funny classic from an author we adore! Mr Biff the boxer loves to eat cream cakes and sit by the fire in his slippers. 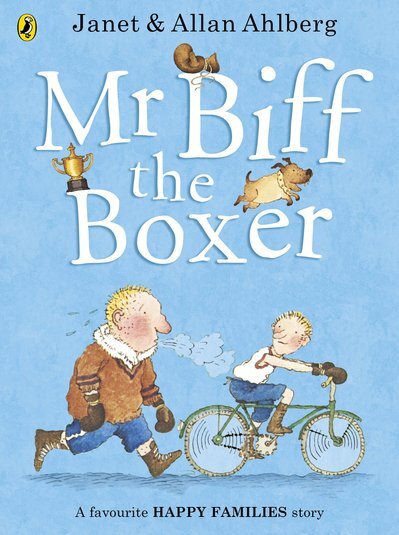 Mr Bop is a boxer too: the fittest, toughest man in town. Mr Biff will need to train hard if he’s going to stand a chance in their charity match. Is he strong enough to swap his cream cakes for healthy carrots?